Being a hands-on entrepreneur is thrilling (if not a little overwhelming) at first. As you get your business off the ground, you become used to doing everything yourself. In this 5 day bootcamp, we’re going to talk about ways to systemize your business for maximum effectiveness and growth. Even when you start outsourcing to freelance individuals, you’ll want to have systems in place to protect your time and ensure they are working during theirs. If you’re too directly involved with the mundane tasks of your business as it grows, your growth slows to a halt. Plus, you’re unable to free yourself from the day-to-day operations of the company, which means no sick time, no vacations – and no reward for your efforts! As you grow your business, there will be tasks that it no longer pays for you to do yourself. You’ll end up losing money by trying to handle everything on your own. 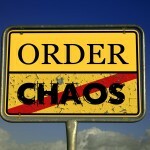 There is a great way to continually build a business if you systemize as much of it as you can. It might cost you some money up front when you set your system in place. But you end up gaining a lot more than you invest. Implement the systemized process as early on as possible, so that you’re free to work on more profitable areas of your business. The responsibility of making sure that the entire business runs smoothly is taken off your shoulders with systemization. Rather than losing money, a system can actually help keep your expenses lower and more manageable. Consider a McDonald’s franchise. When people pay to open a franchise, they’re paying for the systems. The systems you create in the business will enable you to work yourself out of a job and into becoming a business owner. This will make a difference in your end result financially. One way that a lot of businesses lose money is by having overly capable people doing tasks that someone else can do at a lower cost. For example, if you have a guy who makes $25 an hour do a task that someone else could do for $15 an hour, you will have lost $10 per hour for every hour the higher paid person works on the task. If you’re the one that’s handling a task that someone else could easily do, then you’re losing profit by being hands-on in that area. You want results with your business, but you should find the cheapest, most efficient way to accomplish these results. Is the cost of what you’re outsourcing going to be worth the return you get? If not, then it might be something that should remain in-house. Come back tomorrow for more on how to systematize your business.